Being sued by Arendi in district court for infringement of US Patent 7917843, the defending parties Apple, Google, and Motorola Mobility filed a petition for inter partes review of the declared claims. The district court proceedings were then stayed pending completion of the inter partes review proceeding. The claims of the ’843 patent are generally directed to techniques for locating information in a displayed document. Petitioners maintained that a single prior art reference “Pandit” rendered the claims obvious. Pandit discloses methods for recognizing predetermined types of text in a body of text and performing operations pertinent to the recognized text. Petitioners cited the recognition of telephone numbers as text and the operation performed as adding the recognized telephone number to an address book, in the specific embodiment of Pandit. The PTAB, agreed with Petitioners that, as a matter of common sense, the technique disclosed in Pandit can be presumed to perform a search of the address book using the identified telephone number in order to avoid duplicate telephone number entries. The Appellees argued that the process of searching for data in a database was well known at the time of the invention. But, they were unable to provide a reason as to why it would be proper to extrapolate from this general knowledge to specifically add a telephone number search to the Pandit reference. In sum, the Appellees’ conclusory statements and unspecific expert testimony were insufficient to invoke common sense to supply this key limitation. The Federal Circuit’s opinion provided guidance regarding the application of common sense in an obviousness analysis for patent prosecution lawyers and patent litigators. 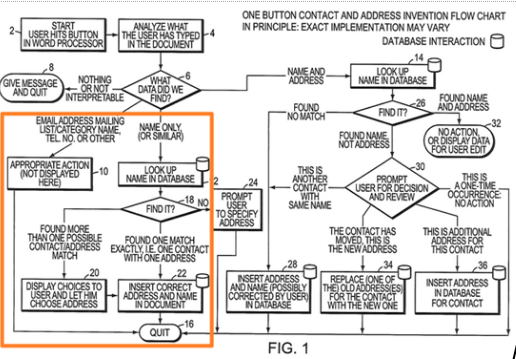 On the patent prosecution front, an applicant confronting an obviousness rejection based in part on common sense can use this case as leverage and press the patent examiner to explain, specifically, and with evidentiary support and the reason of limitation absent from the prior art. For patent litigators, the decision is a helpful guide for parties on both sides of an invalidity case. Preparing the claims comparison chart is a primary step in studying a patent infringement case. MaxVal’s Claims Set Comparison tool and Claim Chart Generator help in analyzing and especially illustrating the elements of the claims. Claim charts are automatically generated in a ready-to-use format. Patent and litigation attorneys have relied on MaxVal’s Claim Set Comparison and Claim Chart Generator tools for several years. Automatically creates a downloadable claim chart for a U.S. patent or published U.S. application. The claim charts (including PCT and EP patent/publications) can be generated in three different formats: Word, Excel or HTML. Create your Max-Insight account today to start your free trial and access a bundle of patent tools trusted by hundreds of patent professionals.